Watermelon is a family summer time favorite. Incorporating it into a cocktail seemed like an idea worth exploring. 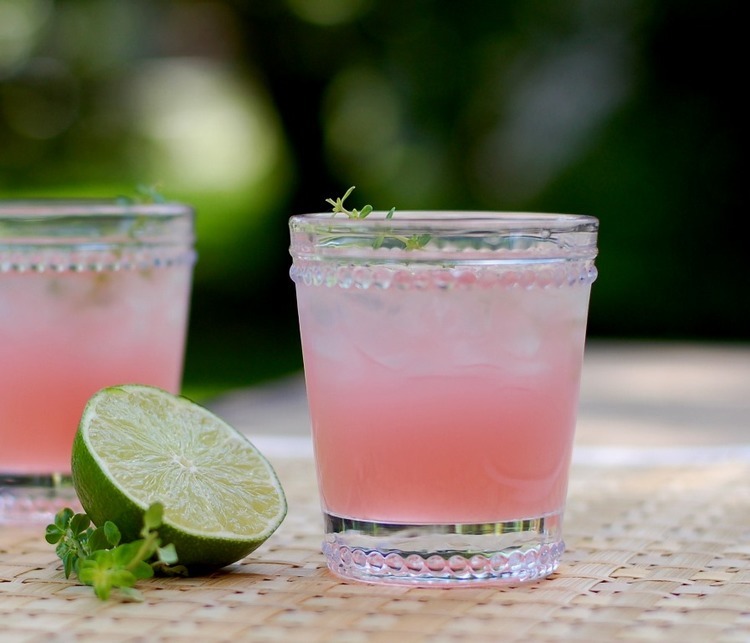 I found a similar recipe that used a rosemary simple syrup and after a few adjustments came up with a new refreshing drink for a warm summer evening. You can make this non-alcoholic by switching seltzer water for the vodka. Place sugar and 3/4 c of the water into a small saucepan along with the rosemary sprigs and stir over medium heat until all the sugar is dissolved. Remove from heat, cover and let sit for at least an hour to infuse. Add the watermelon to the blender in batches and blend. Strain by pouring into a fine mesh sieve that is over a bowl with a pour spout. I have tried this both strained and not and liked it both ways so this step is really is a matter of personal preference. Add 1/3 c of the simple syrup, 1 c of water and lime juice to a large pitcher. Pour in watermelon and stir. Add more simple syrup to reach desired sweetness.